Specialized Services Company has received a Gold Shovel Standard Certification for 2018 from the Gold Shovel Certification Committee. 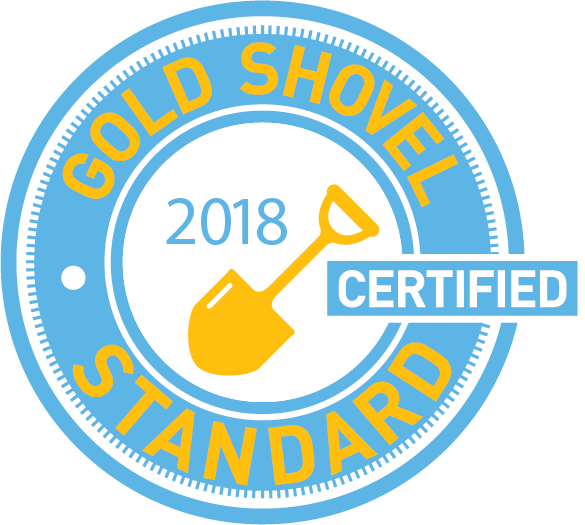 The Gold Shovel Standard Certification is a widely-recognized indication of increased safety awareness and a commitment to continuous damage prevention improvement. The certification requires strict adherence to industry-standard excavation safety practices, along with best-in-class performance. SSC can be found on the Gold Shovel Standard Website (www.Goldshovelstandard.org) as a Certified Excavator. Gold Shovel Standard, a non-profit organization, strives to create a safer North America through training, education, and standardizing damage prevention practices and metrics. The Gold Shovel Standard includes a comprehensive safety program designed to protect underground utility systems, and reduce dig-ins when gas or power lines are accidentally struck. The Gold Shovel organization aims to reduce the frequency of damages on professional excavation sites in North America by 50% by 2025. Visit SSC’s Recognitions page for more information on other recognitions SSC has received.